----I would just like to make note and say RIP. Tolos was one of the guys I stole my "Coach BT" gimmick from - using the whistle and "Coach" moniker. I always loved those interviews with him and Hennig. Tolos entered the WWWF as a singles competitor in the early 1970’s and had a series of matches with WWWF Champion Pedro Morales in New York’s Madison Square Garden. One of Tolos’ longest running feuds was with his arch rival WWE Hall of Famer Classy Freddie Blassie. Their battles were epic in every sense of the word, and one in particular in 1971 drew an enormous crowd to the Los Angeles Coliseum. Tolos was a mainstay in the Los Angeles area for over a decade. 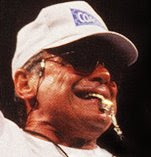 In his later active years, Tolos returned to WWE in 1991. He called himself “Coach”, complete with whistle, and was a manager to WWE Hall of Famer "Mr. Perfect" Curt Hennig, in addition to the Beverly Brothers.